Australian Prime Minister Malcolm Turnbull did a 180 degree turn over his government’s energy policy in the past few days as he realized there was growing opposition against his plan. Mr Turnbull abandoned plans to create legislature limiting greenhouse gas emissions hoping to ease tensions among conservative lawmakers. His cabinet declared that while he was convinced most government lawmakers would support the target of reducing Australia's greenhouse gas emissions by 26 percent below 2005's levels by 2030 from a moral standpoint, he probably would not be able get the measure through parliament given the growing opposition to his party. Related coverage: <a href="https://thegoldwater.com/news/33807-Australia-Prime-Minister-Turnbull-s-Popularity-Sinks-To-Lows#33824">Australia Prime Minister popularity sinks to new low </a>. "Even with strong support in the party room, if a small number of people are not prepared to vote with the government on a measure, then it won't get passed," he stated. 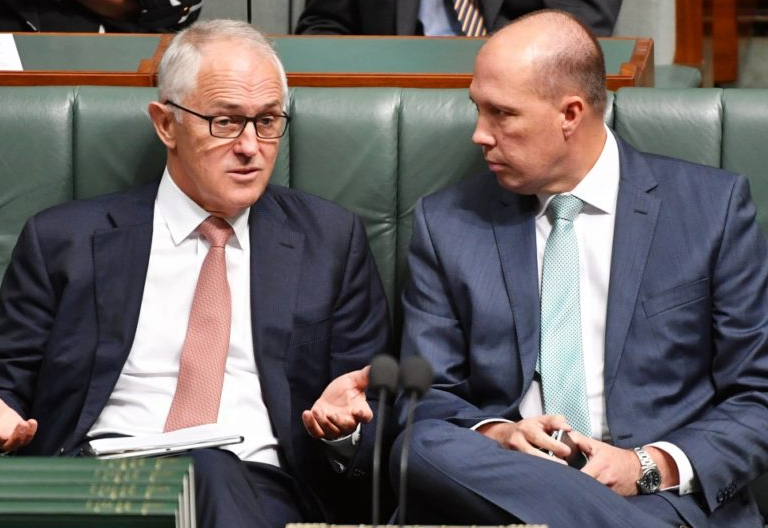 Furthermore, a Tony Abbott (the former Prime Minister) led rebel group within his own liberal party challenged him to a leadership bid to get Interior Minister Peter Dutton in as the new Prime Minister. Mr Turnbull narrowly survived the vote on this with 48 versus 35 after which Mr Dutton resigned as Interior Minister. Mr Dutton declared he believed he had “the best prospect of leading the Liberal party to success at the next election”.